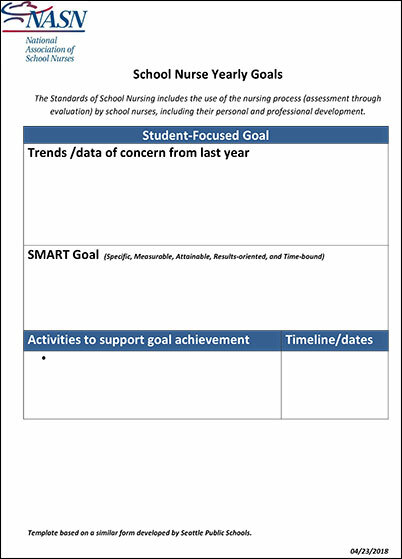 Move your cursor over items to reveal links to resources and programs. 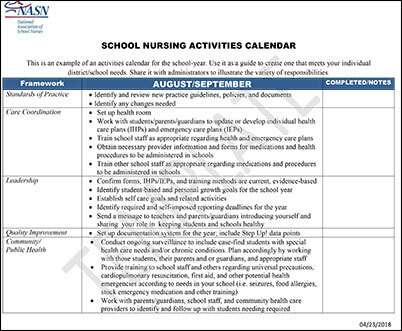 Enjoy the documents below from NASN. Click on the images to enlarge or download. 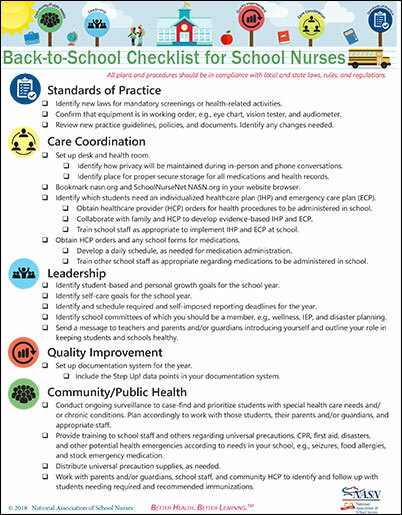 Also offered by NASN is a template letter from the school nurse regarding back-to-school vaccinations. 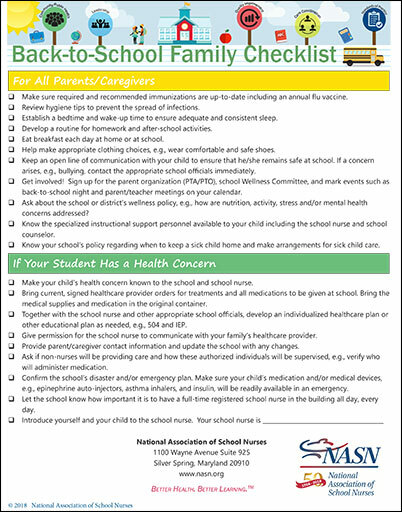 And, from the American Lung Association, a Back to School with Asthma Checklist.